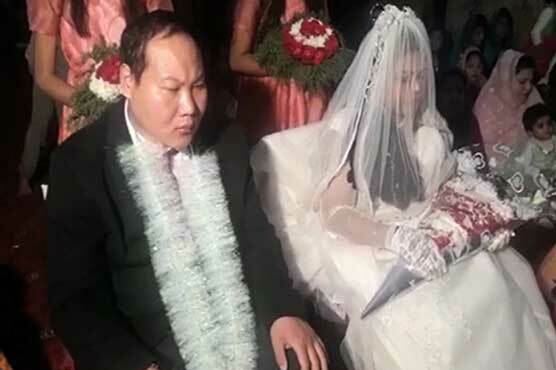 A Chinese man on Sunday has tied a knot with Pakistani Christian after becoming friends on facebook in Muridke. According to details, the ceremony was attended by close relatives at a local church. Maham and Lee expressed their happiness and vowed to support each other in every step.